Chinese New Year – or the Spring Festival in modern China – is being celebrated across the world today (Friday 16 February). Theatregoing audiences passing by Chinatown, at the heart of London’s West End, can expect to witness some spectacular sights. As the Chinese zodiac moves in a 12-year cycle, 2018 is the Year of the Dog. 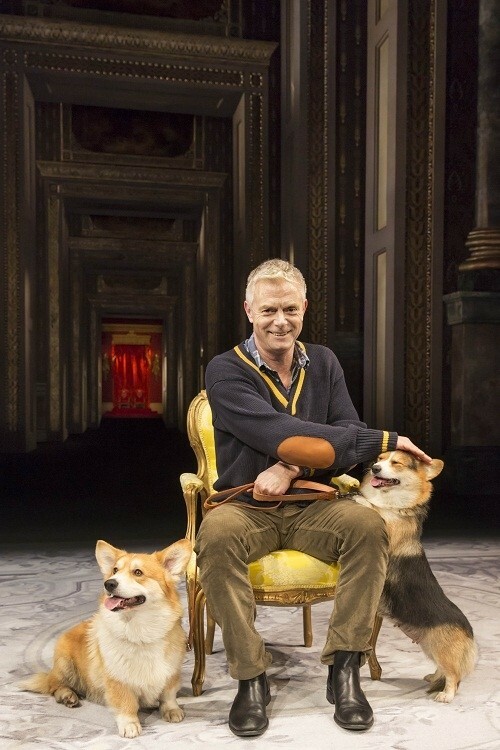 So to join in with the colourful parades and festivals adorning Theatreland over the weekend, we thought we’d recap some of the recent doggy stars of the West End stage. When this canine actor extraordinaire appeared in the Olivier Award-winning comedy Nell Gwynn, she stole the show away from a cast which included the likes of Gemma Arterton. With paw-fect comic timing and bone-afide star quality, Milly had us all wagging our tails in delight. 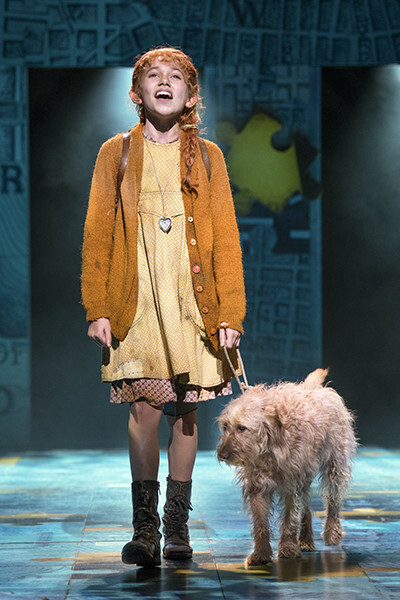 Milly even blogged for us with a great ‘Day In The Life’ diary of life as a West End canine star – dog fans, it’s a must-read. Annie may be the kid that lights up American spirits during the Depression, but the beautiful Amber was the dog that warmed our hearts. Playing the im-paw-tant role of Annie’s canine sidekick, Sandy, Amber was fur-real the star of the show. Theatregoers may have been taken a-bark by the opening scene of Simon Stephens’ adaptation of Mark Haddon’s hugely popular tale. 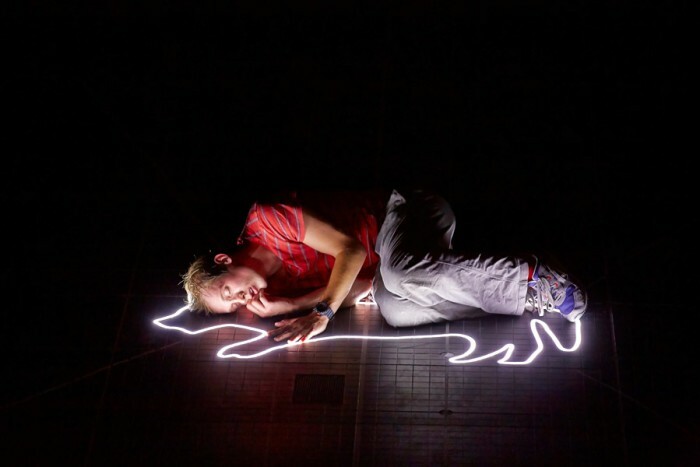 The Curious Incident Of The Dog In The Night-Time is the story of Christopher, a 15 year old boy who becomes a suspect when Mrs Shears’ dog, Wellington, is speared with a garden fork. But hang on in there, dog lovers, because there’s an (adorably cute) twist in the tail to come. We pup-romise you: your heart will melt. 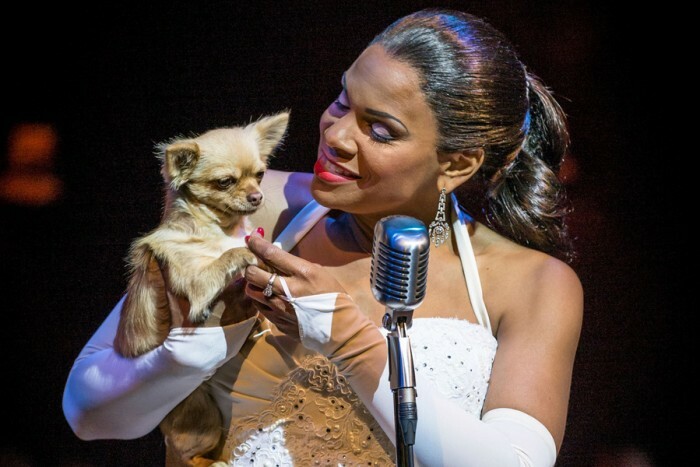 It’s one thing to meet the iconic Tony Award record-holderAudra McDonald. 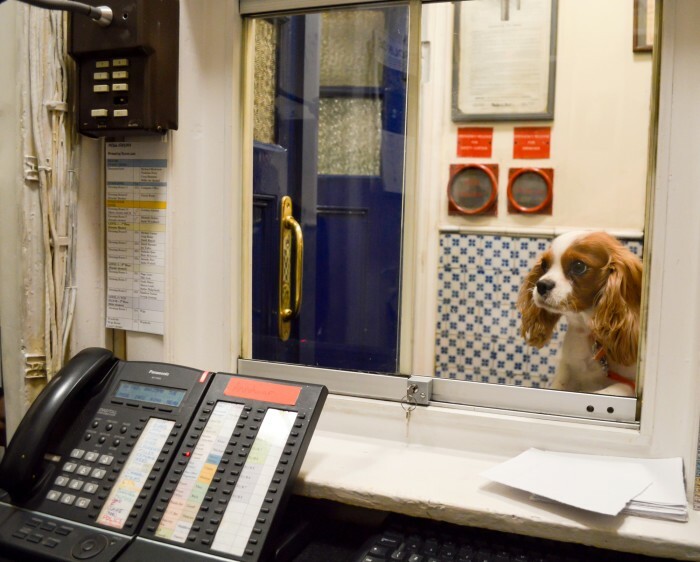 It’s a whole other breed of task to co-star in her West End debut show, hound-in-hand. But co-star Tilly the Chihuahua did, earning plenty of rounds of appaws every night. They say never to work with animals or children. And it applies to theatrical royalty no less than anyone else, as The Audience, which starred Dame Helen Mirren as The Queen, pup-ortedly had to sack one of its canine stars days before performances began. But corgis Rocky and Coco stepped ably into their paw-steps, providing fittingly regal corgis in the acclaimed show. “Oh my dawg, you guys!” Six canine co-stars – bulldogs Monty and Ronny (playing Rufus), and chihuahuas Pongo, Bruiser, Floozy and JoJo (playing Bruiser) – had some particularly tricky scenes to navigate at the Savoy Theatre in this popular show. But their pawsitively attitude and excellent pawsture meant they emerged woman’s best friend, in this brilliant feel-good musical. Happy Lunar New Year – have a grrrrr-eat one! Fancy topping off your Chinese New Year with a deliciously authentic meal? Then head to Ping Pong in the West End, where you can get 15% off with a TKTS or Official London Theatre ticket!